We are giving a synopsis of the 1920s outpouring in China among the orphaned children of the Adullam Rescue Home. Some of the Adullam boys who had died the previous year were seen in heaven by those who had been caught up to heaven during the outpouring. Heaven seemed so near as time after time these boys acted out the visions they were seeing there and conversations they were having. With their eyes closed and radiant faces they clapped their hands in joyful rejoicing, hurriedly calling the other boys over to see some dwelling, or golden street, or some new scene and discovery in Paradise. Those boys who had died and were now in heaven were constantly seen by those on the earth who frequently shouted out their names with joy and ecstasy in the midst of the Adullam Home. They were very much alive and did not seem far away at all—just out of sight. 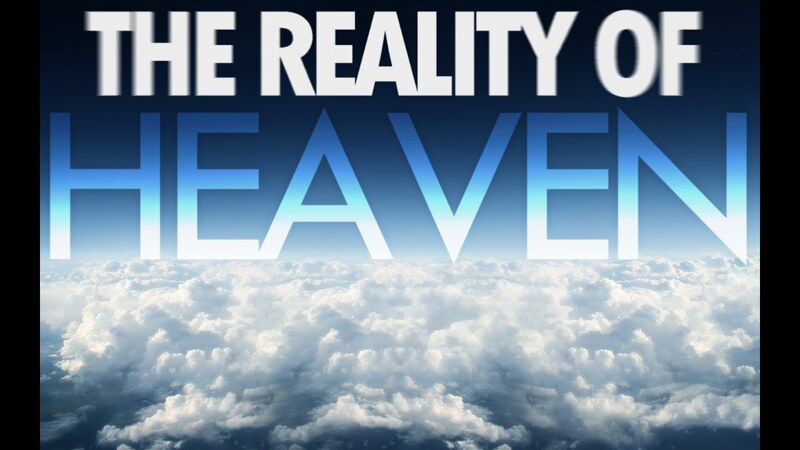 Heaven was so real, so near, so wonderful, so certain, that if one of the children had died in those days the others would have envied him and counted him privileged. This is one of the chief purposes of sharing on these invisible realities—to make heaven, hell, and the eternal world real, near, and certain to you. I believe Jesus appeared to His disciples many times after His resurrection to also fulfill this purpose in them and to remove all mystery as to the afterlife and the reality of these eternal things. Often after one of His appearances Jesus would vanish and disappear from their sight and it caused an awe, an excitement, and an unspeakable joy to be activated in their hearts (Lk. 24:51-53). This is the reason those first disciples in the early Church were able to sell all their possessions and face persecution and suffering without wavering. The step to heaven after death is small, only one breath away, and not mysterious. Our kingdom is not of this world. We are citizens of heaven. Our life, our work, our service and sacrifices are brief and fleeting, but our eternal destiny, and our true life is secure and will never be taken from us or pass away. Let’s live like these things are real because they are. “After these things I looked, and behold, a door standing open in heaven. And the first voice which I heard was like a trumpet speaking with me, saying, “Come up here, and I will show you things which must take place after this. Immediately I was in the Spirit; and behold, a throne set in heaven, and One sat on the throne” (Rev. 4:1-2). When in the Spirit these children were lost to their natural surroundings. Often they supposed they were in heaven and spoke aloud, describing what they saw, and carrying on conversations with either angels or saints that all who were near could hear. As I’ve shared, they acted out what they were doing and saying in heaven. The children testified that they went to the third heaven. As they passed the first heaven, which is the sky just above us, they felt the air on their faces. And then passing into the second heaven, which is outer space, they looked back upon the beautiful stars like a person on a mountaintop would gaze down below at some valley or lighted city. Then when the children finally reached the third heaven they saw the light of the New Jerusalem afar off, and as they approached it they saw the beautiful wall of the city reflecting its wonderful jasper light. The foundations were of indescribable beauty, sparkling with the varied colors of the most radiant jewels. The city these children saw and testified of were three cities in one, not a cube as some have supposed it to be, but a pyramid. One city was suspended upon another with the largest below and the smallest above. These children knew nothing of what the Bible said, but one of them prophesied that the Lord had made heaven big enough for everyone, and that he had made it in three cities, one above the other, and that presently His throne is in the upper city. Heaven is a real place with real people. It’s our home. It’s where we will spend eternity, and where there is love, joy, peace, perfection without end. There’s so much more books like this in the market. We have outpouring of fresh visitations from God and his Kingdom in recent years. But yet so many who don’t pay attention to these sign posts given by God.